The theme of this year's National Chemistry Week is "Behinds the Scenes with Chemistry!" 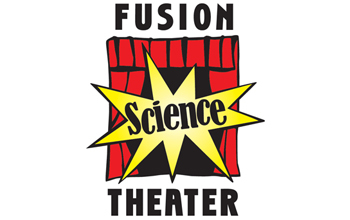 To honor the occasion, The Journal of Chemical Education is showcasing the groundbreaking work of Fusion Science Theater, a National Science Foundation-funded project that uses theater to teach children basic science concepts. The cover of the October special issue features photos from their first show, "The Amazing Chemical Circus." In the article, Fusion Science Theater describes the development of the circus, the challenges and triumphs of cross-disciplinary efforts, and the many discoveries made along the way. Learn how theater-in-education techniques were employed to create a participatory, inquiry-based, multimodel learning experience. For more information on Fusion Science Theater, visit www.fusionsciencetheater.org.